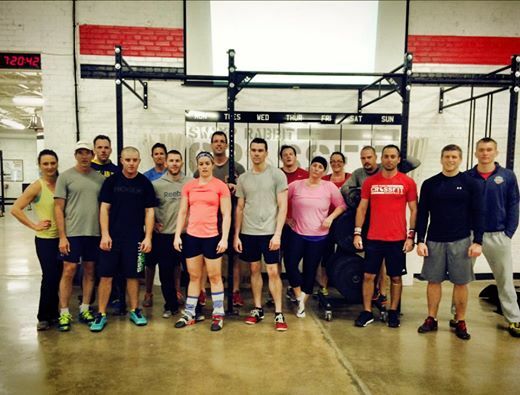 0630 after the WOD on Thursday, Jessica just told them the Easter Bunny isn’t real. A note from one of our awesome Teacher members, Alissa! I would like to introduce myself for those of you who do not know me. I am a middle school teacher at a Montessori school in Simpsonville called Five Oaks Academy. In our middle school, we run a special internship program with our 7th and 8th graders three times a year. We have a great support system of parents who graciously have volunteered to mentor our interns at their businesses but we have grown immensely and are looking for more mentors. Since I know that at Swamp Rabbit XFit we have a tremendous group of entrepreneurs and professionals in all areas of the workforce, I thought I would ask if anyone would be interested in mentoring an intern. This commitment on yours and our part is scheduled in advance and is well organized. Please email me if you are interested or have questions regarding our internship program and we will provide you with more information. We would love for our kids to have a great experience with individuals who are dedicated and excited about what they do. Current members, please click here to set up your membership through Wodify. Only Individual and Couples 12 month agreements are available online. If you are signing up for Student/Military/First Responder rates, month to month plans, or punch cards, please come by the gym. You will be prompted to pay when you sign up online. The membership start date should be set to 2/16/2015 (which is default) and your current billing schedule will stay exactly how it is now. If you have any questions, or would prefer to have someone walk you through the set up, stop by the front desk where we’ll be happy to help! As always, we prefer ACH payments(payments using account and routing number), but we will accept all forms of payment.